The Cuba Solidarity Campaign supports the sovereignty of Cuba, opposing the economic blockade imposed on the country by the United States of America since 1962. Ambassador Cárdenar conceded that "under the Obama government the embargo has been relaxed a little," but she added: "It's still true economic war and the embargo is a sophisticated weapon to use." Rob Miller added: "The blockade is as pernicious as ever," and explained the need for the UK government to increase pressure on the US. "Cubans have the right to shape their own destiny," he said, "and by giving them the freedom to trade openly, would give them the freedom to do so." Trade restrictions imposed through the embargo have cost the Cuban economy an estimated US$750 billion and had a devastating affect on the country's ability to develop its economy and social infrastructure. Despite this, the Cuban Government has worked around the limitations imposed by the blockade and made massive achievements in health, education and social services for its people. "Cuba is not a perfect society," the ambassador said, "but the Cuban Government has the overwhelming support of the people. This is not easy when you have a superpower on your back constantly trying to subvert the revolution and the achievements made." Continuing, she said: "The US has never forgiven Cuba for housing a socialist state in its back garden". Ambassador Cárdenar pointed out, however, that the effect of America's continuing blockade were often perverse - citing the suffering of children with cancer who are being denied potentially life-saving treatment because of trade restrictions on medical drugs. 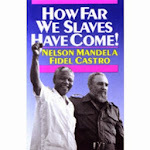 Mr Miller agreed: "There are still shortages in Cuba. It's a developing country and there is always a need in developing countries like that, but they are not asking for charity. They are asking for equal rights; to be able to stand on their own two feet, trade freely and get America off their backs." Mr Miller argued that the main focus of the campaign is political solidarity and urged the CWU to encourage affiliation of all branches and regions that are not already affiliated with the campaign. 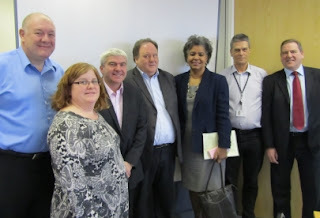 CWU general secretary Billy Hayes (left with Ambassador Cárdenar) echoed his sentiments for all CWU branches and regions to affiliate with the campaign, adding: "The achievements of Cuba are an inspiration. Cuba means a lot to the CWU and we will continue to work in solidarity to promote the campaign, exert political pressure on the UK government and actively support the plight of the Miami 5." 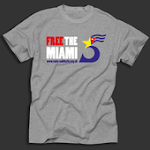 'Free the Miami 5' is a central focus of the Cuba Solidarity Campaign, opposing the imprisonment of five Cubans falsely accused and wrongly imprisoned in the US in 1998 for alleged espionage. Hoping for a breakthrough in the Miami 5 campaign this year or next, both Ambassador Cárdenar and Rob Miller thanked the CWU for all the work done by the union to actively support the people of Cuba and the Solidarity Campaign over its 11 year affiliation - and looked forward to emboldening this relationship going forward.